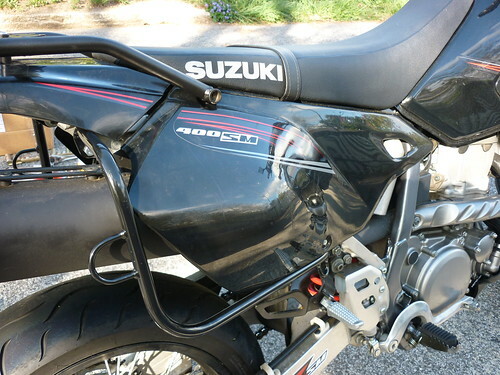 I ordered the dirtbagz saddlebags for a couple of reasons: most importantly, the bags and brackets were really inexpensive compared to many of the other luggage systems out there. 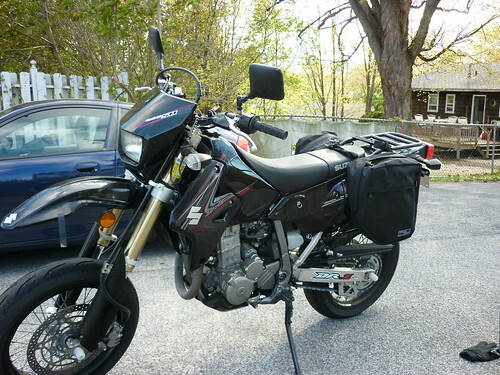 second, I like how narrow the bags are, because I don’t want to overload the drz (it’s already a really small bike, but it is so tall I think it would be easy to get carried away). third, everyone who has them seems to love them. 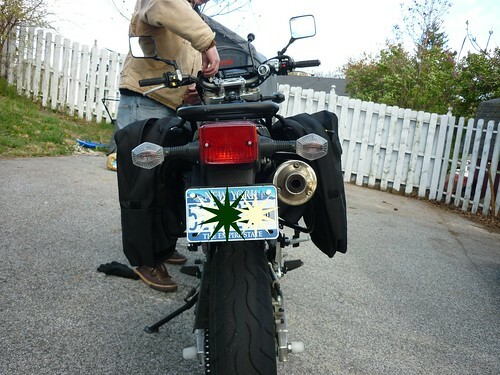 The brackets under the dirtbagz are unobtrusive when you have the bags off, too. The two canvas bags are secured together with straps that go over the top of your motorcycle, and installation was super easy, and putting the bags onto the bike is as simple as lifting the saddlebags over the seat, making sure the metal loop is snug in the canvas pocket, clipping the front strap onto the bracket, and making sure the straps that hold the two bags together are snug. When you’re ready to turn in for the day it’s faster than fast to pull the bags off the bike and carry into your destination for the evening. Inside the bags I use some dry sacks that I picked up from campmor – the 8L sea to summit dry sacks fit inside the dirtbagz perfectly. 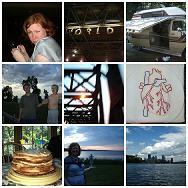 I was able to pack a boatload of stuff into the bags when we went on our Spring 2010 trip, a packing list is here. Good day! I just want to offer you a big thumbs up for the excellent information you’ve got here on this post. I’ll be returning to your site for more soon.